Indianapolis is home to some of the most recognizable brand names in the country. Companies like Angie’s List, Eli Lilly and hhgregg are headquartered in Indiana’s state capital with a growing population approaching 1 million people. The city also famously hosts the Indianapolis 500 every Memorial Day weekend at the sprawling Indianapolis Motor Speedway, and boasts one of the top teams in the National Football League in the Colts. Indianapolis is also becoming a Midwestern center for trade shows, corporate events and outings and conventions. Corporations are drawn to the city’s large stock of affordable hotels with nearly 20,000 available rooms, along with its over 1.25 million square feet of convention and large exhibit space. Indianapolis meeting rental company Modern Event Rental is proud to serve each of the city’s most popular convention centers, including the Indiana Convention Center & Lucas Oil Stadium, JW Marriott Indianapolis and the Bankers Life Fieldhouse. Modern Event Rental provides Indianapolis pipe and drape rental, A/V equipment, sofas and chairs and stage sets for corporate events large and small. 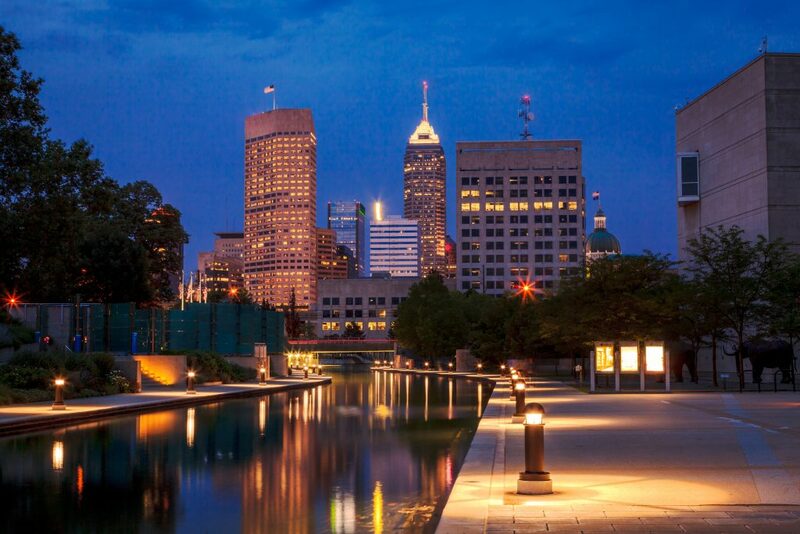 As a member of the Indiana Chapter of Meeting Professionals International, we work with Indianapolis event planners to ensure all of our Indianapolis events run smoothly. 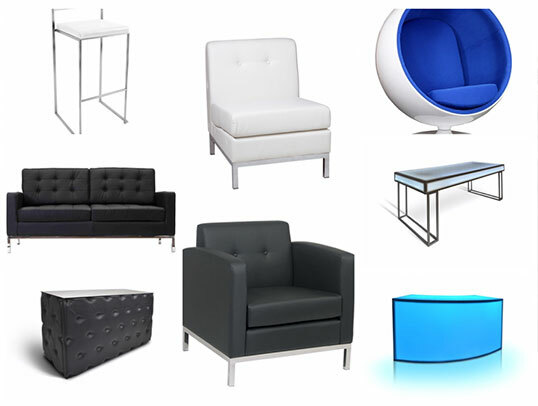 Modern Event Rental designs and custom builds much of our meeting furniture rentals in our Chicago showroom and warehouse. Each one of our pieces will fit perfectly into your Indianapolis trade show, convention or corporate meeting space. We also offer nationwide shipping on our entire inventory of event rentals, meaning we can ship your chosen items directly to your Indianapolis event venue. Contact us today to get started on your Indianapolis corporate event rental needs. Need event rental furniture and more in Indianapolis?